Howard is part of our Asian team and handles its regional cases. Howard’s practice primarily involves the drafting and prosecution of patent applications, advice in relation to patent validity and enforcement, patent strategy, including global and regional filing strategies and prior art searches, predominately in the fields of mechanical and electronic devices, telecommunications, software patents and business methods. Prior to joining the firm, Howard had substantial involvement in the field of patents in private practice. 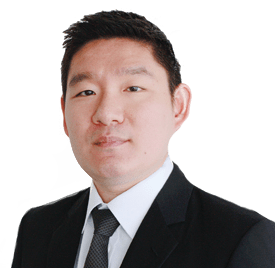 Howard has worked in the patent group of two leading Singapore law firms, and as a senior associate in the engineering and ICT team of a leading patents firm. Howard has also worked in a leading New Zealand patent attorney firm during a work attachment where he gained invaluable experience in patent drafting. Howard graduated from the University of Melbourne in 2001 with a Bachelor of Engineering (Mechatronics) degree and a Bachelor of Computer Science. Howard has obtained the Graduate Certificate in Intellectual Property Law from the National University of Singapore. Howard qualified as a Singapore Patent Attorney in 2011. He is also an executive committee member of the Association of Singapore Patent Agents (ASPA) which keeps him at the forefront of the patent profession. Howard was also awarded the ASPA book prize for gaining the highest marks for paper C (Infringement and Validity of a Singapore patent) in the qualifying examinations held in 2010.